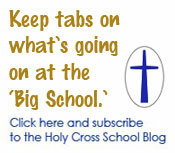 Holy Cross EEC Blog | Holy Cross. Building Faith. Inspiring Minds. Holy Cross Early Education Center just completed our our “Pennies for Patients” drive. The total amount collected was $505.33. This made an average of $5.72 per students. The green room collected $143.68. The orange room collected $153.70. The blue room collected $95.44. The purple room collected $112.51. The photo shows the fun little “extras” that showed up in the donation boxes! Stefanie and I get a big kick out of finding these treasures that won’t go through the Coin Star machine. Thanks for helping our little ones help others! I’m a little late in posting these photos but they are just too “Deer” not to share! These sweet deer were made by the friends in Ms. Debbie and Mrs. D’s p.m. PAL’s class. Mrs. Bridges went to the Purple Room to deliver some papers last week. While she was there, the children were playing a game we call “Jump the River”. 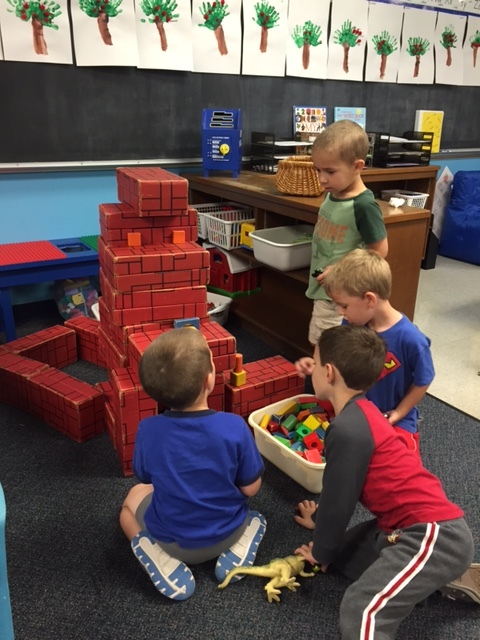 Mrs. Bridges was commenting how fun it looked and how she wished she could play with them because she had to go back to her desk to do her work. The children were asking why she couldn’t stay and play and why she had to do work. “R” piped up with the answer. “R” said, “SHE HAS TO WORK SO SHE WILL HAVE A BETTER LIFE!” There you go….wisdom from a 4 year old. 2 boys were washing hands and were discussing their Halloween costumes. O told J, “Wouldn’t that be cool if you came over to my house and we both wore our Halloween costumes.” J says, “O M my goodness!” Well, he almost had it right. When you have big sisters, you learn the lingo!